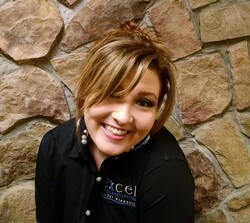 Courtney is our Dental Nurse and has been with Excel Dental Specialties since its inception. 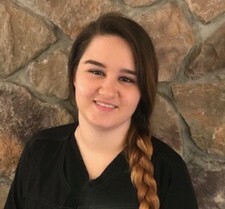 She attended the Dental Assisting program at Hagerstown Business College and graduated in the top of her class. 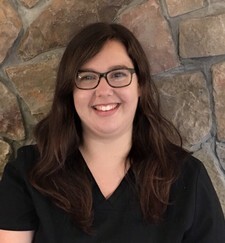 Courtney is dedicated to making your visit as comfortable as possible, and is truly happy for the opportunity to help people feel better at your side. "I wouldn't change it for the world!!!" 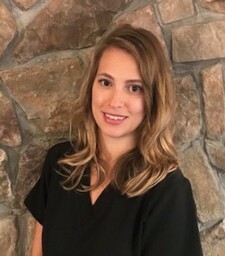 Katlyn has been in the dental field since 2009. 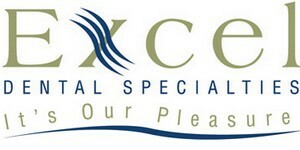 She has been with Excel Dental Specialties since Feb 2011. Katlyn graduated from Kaplan University. Katlyn enjoys time with her family, especially spending time with her kids: Landen, Carly, and her youngest Jackson. Hilary has been a dental assistant for the past 4 years. She graduated from the Mount Airy College Center. Hilary enjoys getting to know you, the patient, and helping you feel comfortable. When Hilary is not at work, she loves spending time with her husband, Thomas, and son, River. Caitlyn is the youngest of the Excel team. She recently finished her radiology course at the MSDA. When Caitlyn is not assisting she spends time with her 2 year old daughter, Aubree. Caitlyn is a very compassionate and dedicated assistant. She will make you feel comfortable. Melissa is our Patient Care Coordinator Insurance verrification Specialist, and when needed our Radiology Certified Dental Assistant. She is a burst of energy. When she is not at the front desk to greet you, she may be working chairside as an assistant. Melissa gradauted from Mount Airy College Center. She welcomes you with a smile and always wants you to feel comfortable. 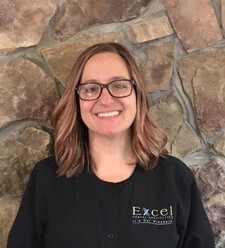 Sandy joined our Excel Dental Specialties Team in 2014. She has 18 years of experience in the dental field. Always smiling, she takes pride in making you feel comfortable from the moment you walk in the office to the moment you leave. When not working Sandy loves spending time with her family camping and traveling.